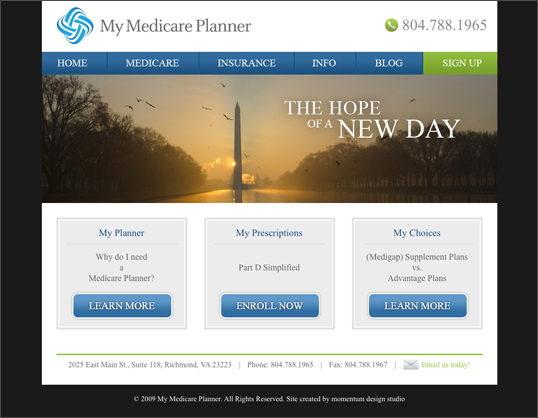 Project Details: Tom Chamouris is a medicare expert that provides advice and services for individuals looking for medical supplement plans, long term care, life insurance and health insurance. 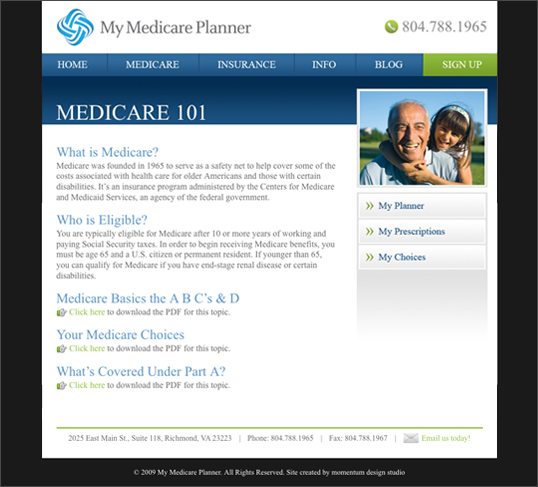 When we redesigned the website for My Medicare Planner the goal was to create a site with straightforward choices and advice for the viewer. We accomplished this by limiting the number of choices the viewer is presented with upon first visiting the site and expanding on the information for each topic as they continue further. This allowed for a more welcoming home page experience.